Duration: 25 days New Delhi to New Delhi, 20 days trekking. Day 01: Delhi - Leh Tranesfer to airport for Fight to Leh. Meeting and assistance upon arrival. Transfer to Hotel. Day free for acclimatization. Dinner and overnight in hotel. Post breakfast it is advised to take a tour of some of the famous Gompas (Monasteries) around Leh. Thiksey Gompa: 17 kms from Leh enroute to Hemis Gompa, the Thiksey monastery provides a panoramic view of the Indus valley from its vantage point atop a hill. There are several temples and wall paintings of the Buddha. Close by is the summer palace of the old Raja of Leh. This monastery is 800 years old with statues made of silver and gold. Hemis Gompa: 40 kms from Leh, built in 1630, it is the biggest monastery in Ladakh. It is not visible from the road as it is located in a side valley. Hemis has the largest thanka in Ladakh which is unfurled once in 12 years (next in 2004). It celebrates an annual festival attended by people from all over the provinces who come to join in the celebrated mask dances. Packed lunch enroute. Dinner and overnight at the hotel. Shey Gompa: This monastery has a large 7.5 m copper statue of Buddha plated with gold. In the morning after breakfast go for Lamayuru by surface. Visit the Lamayuru monastery which is a major landmark on the old silk route. Legend behind this monastery is that Lamayuru village was once filled by a lake which was drained by sage Naropa to permit the foundation of the monastery. The monastery belongs to the old Tibetan schools the Kargyupa / Drukpa school. Lunch, dinner and overnight in tents / hotel. Day 04: Lamayuru - Wanlah (03 hrs) After breakfast in camp trek to Wanla. It is an easy ascent after crossing the river upto the Prinkit La (3726mts). 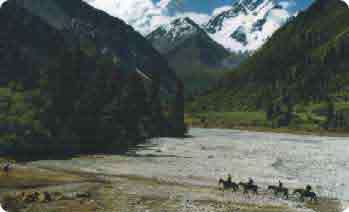 Pass the village of Shilla following a narrow and dry gorge and reach Wanla. Packed lunch enroute. Dinner and overnight in trekking tents. Day 05: Wanlah - Hanupatta (05 hrs) Trek to Hanupatta after breakfast. Walk begins with a flat section. Cross onto the right bank before Phenjilla. At the junction of the rivers, chorten and religious banners can be seen. Continue across the slope to reach Hanupatta. Packed lunch enroute. Dinner and overnight in trekking tents. Day 06: Hanupatta - Photoksar (07 hrs) Breakfast in camp. Trek to Photoskar. Long ascent into the stony valley. Cross the river and walk up to Sisir La (4800mts) after which it is a long descent to Photoskar (3750mts). Packed lunch enroute. Dinner and overnight in tents. In the morning after breakfast trek to foot of the Sengge La with packed lunch. 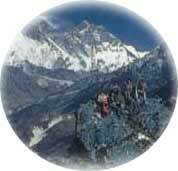 Ascend to the Bumiktse La (4200mts) after which is a gentle slope into the broad valley. A short climb to the Sengge La (5000mts) and then a steep descent till the foot of the Sengge La. Camp here for the night. Dinner and overnight in tents. Day 08: Foot of Sengge La - Lingshet (06 hrs) Breakfast in camp. 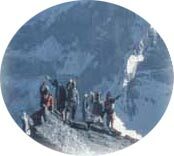 Begin trek to Lingshed. 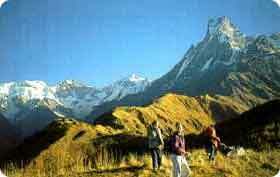 After Kiupa La (3850mts) is a steep descent to the villages of Gongma and Skiumpata (3840mts). It is a wonderful landscape with a view of the valley of Nierag on the other bank of the Zanskar. Reach Lingshed after crossing the Murgum La (4100mts). Camp near the monastery. Packed lunch enroute. Dinner and overnight in tents. At leisure for exploring around, resting and photography. Day 10: Lingshet - Snertse (06 hrs) After breakfast trek to Snertse . From Lingshed it is an easy ascent to the Hanuma La pass (4700mts) then a long gradual descent to the sheepfolds of Snertse. Packed lunch enroute. Dinner and overnight in tents. Day 11: Snertse - Hanumil (06 hrs) Trek to Hanumil after breakfast. From the Oma Chu river is a steep ascent to the Parfi La (3900mts) and a sharp descent to the foot of the pass. Walk up to the plateau taking the path that leads towards the edge of the Zanskar to Hanumil. Packed lunch. Dinner and overnight in tents. Day 12: Hanumil - Pishu Breakfast in camp. Easy walk to Pishu (05 hrs) sometimes along the river and sometimes across the morainic pleatue. Camp below the village of Pishu. Packed lunch enroute. Dinner and overnight in tents. Cross Rinam above which is a small stream and shelter formed by the rocks. Easy stretch along the banks of the Zanskar river to Karsha. It is a beautiful Gelukpa monastery dating back to the 15th century. Packed lunch. Dinner and overnight in tents. An easy five hour trek to the Mune Village via the Bardan Gompa which houses the famous 180 cms. Tall prayer wheel. Camp overnight at Mune. Cross a beautiful plain covered in flowers till the Reru village, cross over a bridge over a tributary of the Tsarap river. 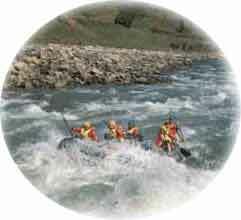 A gradual descent till the main Tsarap river where you will cross over to the right bank. Arrive at the fortified Ichar village and camp for overnight. Overnight in camp. Cross over the Ichar bridge and walk over a tricky trail till the village of Surle. Follow the Tsarap river on a lightly marked and loose rubble trail till Cha village. Cross the bridge at the village and walk through a series of small canyons of pudding stones till you descend down to the river and after crossing a small bridge walk till the Purne village and set up camp for overnight. Walk up the left bank of the Tsarap into splendid gorges. After 11/2 hours, cross a small bridge and walk till a small but crystal clear tributary of the Tsarap. From here you will get your first view of the spectacular Phuktal Monastery. 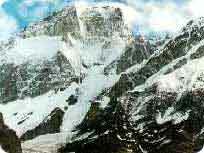 Belonging to the Gelugpa sect the monastery is the most famous in Zanskar. After visiting the monastery we return to the camp in Purne for overnight. Cross the bridge at Purne and climb up towards the village of Teta. Descend steeply till the village of Kuru, famous for livestock breeders. Walk till Tanze village and then walk another 11/2 till Table. Camp (4 hrs) A two hour walk till Kargyak ( 4100 Mts) Pass beneath the Gumburanjon Massif and cross a multitude of small streams before you climb steeply up a face of fallen rocks before you arrive at the camp site. Overnight in camp. Cross over a small plateau before undertaking a steep and icy climb till the Shingo La pass (5090 Mts) Walk down a zig-zag moraine and cross over several small streams before reaching the Rumbak meadow. A long six hours walk along the left bank of the valley will bring you to a nice camp site. A five hour walk will bring you to the village of Darcha also the road head. Drive seven hours from Darcha - Manali. Overnight in hotel. Day 25: Manali - Delhi. Fourteen hours drive via Chandigarh to Delhi. (Alternatively one can also fly from Kullu to Delhi).